Take a look at my boots after today’s practice. I was so pleased I had taped them up. It was so snowy that only 10 of us made it to today’s practice. I am not impressed with this weather. It’s grim. This is awesome. I can’t stop watching it. Can’t wait for practice tomorrow. I hope I get there through the snow! I passed the try outs for my local team – Middlesbrough Milk Rollers – at the start of November but only managed to make 1 practice before I had to go on my travels, but last night was practice and I got to go and to try out my new skates. I really enjoyed practice but I ache now. I know I need to work on my thigh strength so squats and lunges seem to be the order of the day. My skates were good and I felt I was able to push a bit more towards the end of practice as my confidence grew. 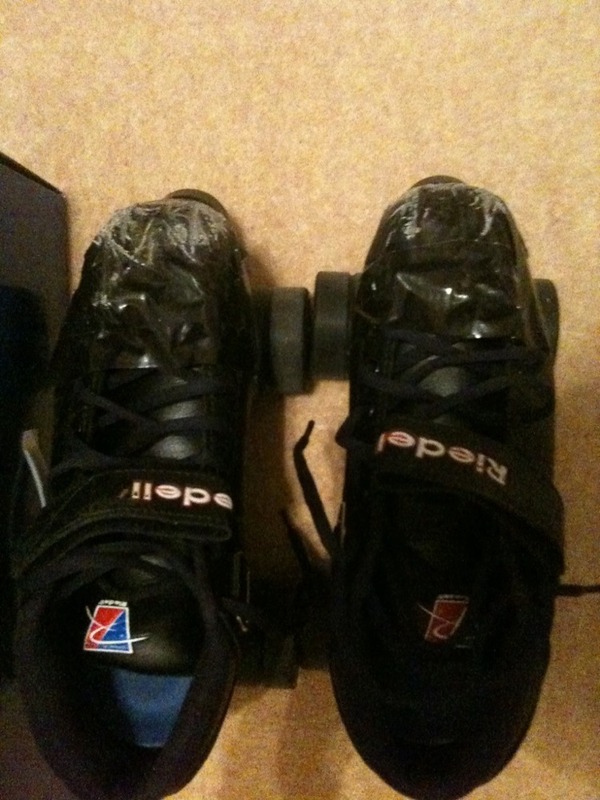 I am thoroughly enjoying learning to skate well but I’m still quite nervous about the contact bit – when we get to it…. 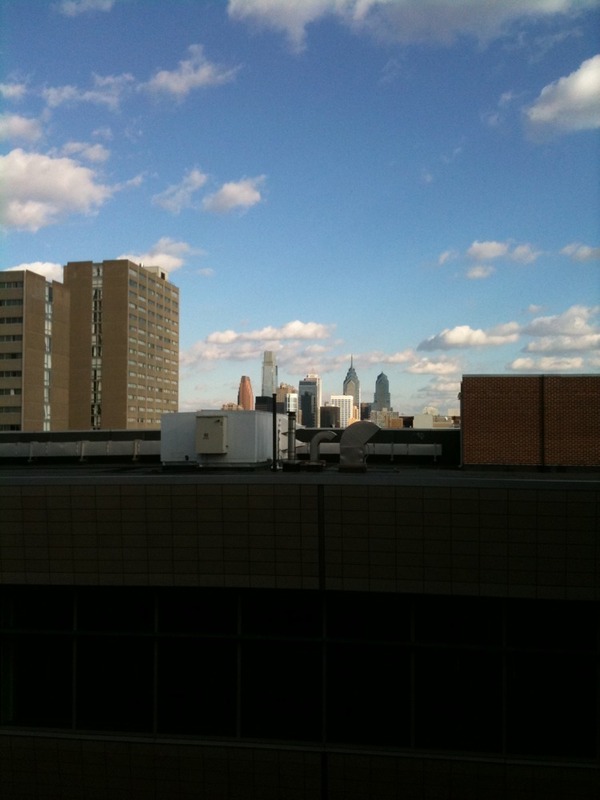 I had a visit to the University of Pennsylvania today in Philly. Check out the skyline! I’m really enjoying PA, the trees are gorgeous at the moment and it’s really lovely to drive around and look at all the pretty! This evening was an easy run on the treadmill – not too long, not too high a pace. The running is going good at the moment, and luckily no injuries, which is such a blessing. I’ve been in Pennsylvania for a day now, and I like it very much. 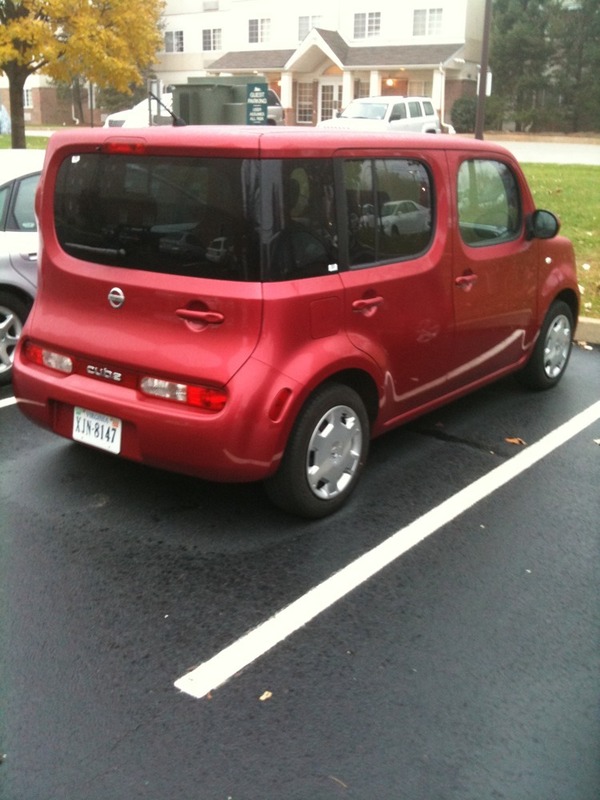 I do however have the ugliest car on the planet from Hertz. Ugly, ugly, ugly: but at least it’s getting me from A to B. It was a long run day today so that meant 60 mins on the treadmill (5.5 miles). I put on my Dorothy Dunnett audiobook and ran, and it actually wasn’t quite as horrible and boring as I thought it was going to be. 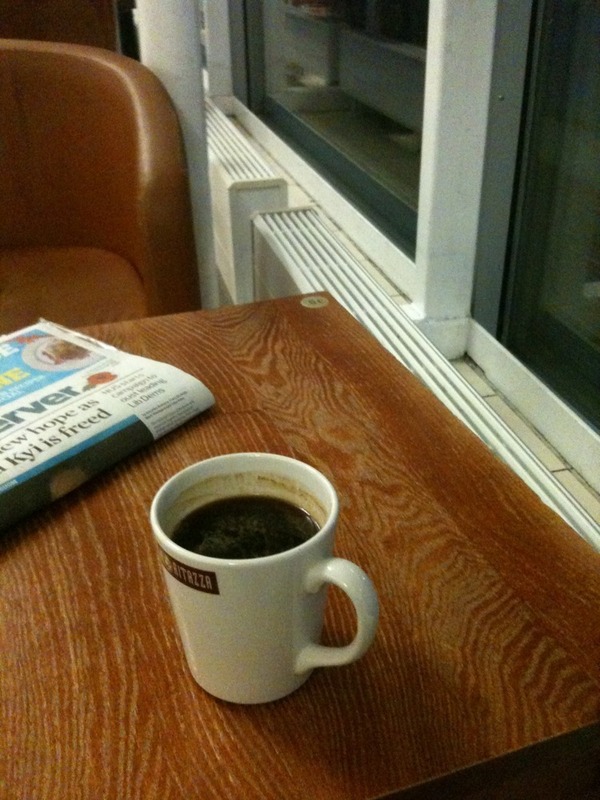 It is early on Sunday morning and I’m at the airport drinking strong black coffee and waiting for my flight to Heathrow and then Philly. I can’t believe I had a whole week off last week, I still feel knackered!